Montgomery County14 Sep 201820Texas Attorney General Ken Paxton announced that a Mexican national pleaded guilty Thursday to voter fraud in three elections, including one for president in 2016 and will eventually be deported. 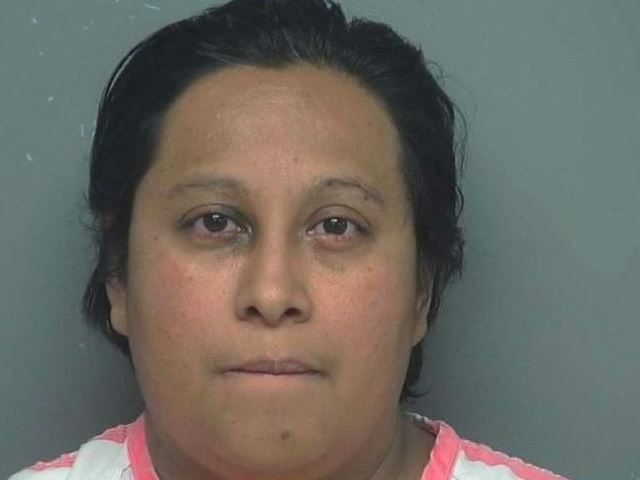 Laura Janeth Garza, 38, a Mexican citizen, pleaded guilty to voter fraud charges of voter impersonation and ineligible voting, both second-degree felonies. Garza was sentenced in Montgomery County Court to 10 years in jail and a $10,000 fine. She will be deported after serving her jail time, according to the Attorney General’s office. “Election integrity is a top priority for my office, and arrests and convictions like this clearly demonstrate our commitment to ensuring that Texas elections remain free and fair,” said Paxton in a prepared statement. The AG’s office prosecuted the case through its election fraud unit. “Anyone attempting to deprive the people of Texas of their voice in either state or federal elections will be brought to justice and penalized by the full extent of the law,” added Paxton. In May, Paxton said his office would prosecute Garza, who was indicted by a Montgomery County grand jury on two counts of election fraud for illegally voting in 2016, 2012, and 2004. Garza reportedly stole the identity of a U.S. citizen who resides in Texas. She secured a U.S. passport and registered to vote in Harris County. This situation surfaced when the alleged victim applied for her own passport. A joint investigation conducted by the Texas AG’s office and the Texas Department of Public Safety (DPS) determined that Garza obtained documents to steal the identity of a U.S. citizen and illegally register to vote in Harris County, according to a press release from Paxton. The two state agencies continue to work together on the case. Information about this matter came to light when a female American citizen attempted to obtain a U.S. passport. However, she learned that Garza had already done so using this woman’s identity. As a result, the U.S. State Department referred Garza’s case to the Criminal Investigations Division of DPS, which, subsequently, handed it over to the Office of the Attorney General for an election fraud investigation. After Paxton announced Garza’s voter fraud conviction Thursday, the Public Interest Legal Foundation (PILF), a national election integrity law firm, commended the Texas AG for prosecuting this case. “Well done,” the watchdog group tweeted. Earlier this year, the PILF filed a lawsuit against Harris County for allegedly failing to disclose noncitizen voter records as required by the National Voter Registration Act (NVRA) of 1993, also known as the “Motor Voter” law. Breitbart Texas reported Paxton urged a state court judge in a separate lawsuit to facilitate the PILF’s request after Harris County sued over a ruling that noncitizen records should not be disclosed under the Texas Public Information Act, contrary to the Attorney General’s published opinion on the matter. Last year, Paxton’s office tried Mexican national, Rosa Maria Ortega, 38, for voting illegally in Texas elections over a decade. She falsely claimed U.S. citizenship and voted as a Republican at least five times in Dallas County, including in 2012 and 2014. Ortega claimed she thought she was an American citizen despite her legal permanent residency and was therefore ineligible to vote. She was sentenced to eight years in prison. Issue her a "new" identity as an Iranian and send her THERE!! !